There are only three weeks until Christmas, is it time to panic yet?!? Of course not. We all know you’ve got everything under control, right? If not, here are a few quick Christmas projects to get you back on track. 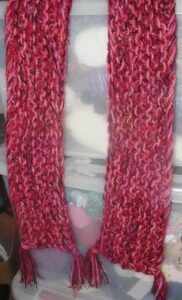 The One Hour Scarf. Knit on honkingly big needles, you can make the one hour scarf with tassels, a full fringe, or darn the ends for different looks. A super quick and useful present, and a stash buster too! 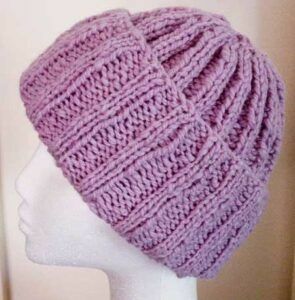 This is always one of the most popular patterns on Knitting-and.com once Christmas approaches. Do you have a new member of the family who needs their own stocking? Check out the Personalized Christmas Stocking from 1945. Updated and charted in colour. Go. Now. You still have time! 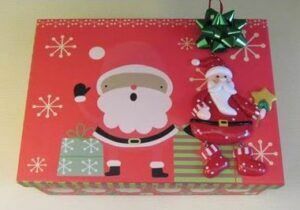 Do you like to give Christmas cookies biscuits as gifts? Here’s how to wrap up your cookies, ahem biscuits, without risk of turning them into a tin of crumbs. If it’s Winter in your part of the planet, why not knit a hat, or some mittens or gloves to keep your loves ones warm? Now get knitting people! There are only three weeks until Christmas. It’s time to panic!! !